younger. Soothing itchy and irritable skin. Prim Perfect natural skin scrub Herbal cleansing salt with Moisturizer. Note: very good for people who has acne on their back. Sugar cane might be the perfect summer sugar scrub, prepare your skin for spray-tan in this summer. It’s a “detoxifying” treatment that stimulates your metabolic system, speeding its ability to carry away waste products. If the product is cream or lotion, it’s a “hydrating” treatment. Warm milk and honey will introduce to nourishing your skin- full body. Then therapist will wrap up your body and continue scalp massage during the mask in on. Finished up with body conditioner. * Body mask is not a massage. You book for a massage after body Mask. * If you have claustrophobia, this may not be the right treatment for you. Using burn plant, the medicine plant, and even the plant of immortality, aloe cools while fighting inflammation and bacteria. 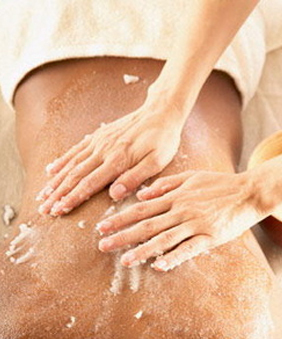 It also softens and moisturises the skin, preventing peeling and scarring after sunburn. Cucumber will be associate with this treatment. Ancient aromatic treatment, steamed herbal pouches containing five different Thai herbs known for their healing and rejuvenating properties are used to massage the body for healing and pleasure. A warming massage for those suffering with very stiff, sore muscles. Featherweight stroking follows the compress in order to soothe and foster balance and serenity. Body Treatment Using Herbs and 100 % Organic Natural ingredients. You can reach us through phone or by sending us an email. I cannot say enough great stuff about Pajaree. As a client you are her number focus. She puts all her energy, experience, and passion into her treatments – you will leave feeling renewed (that’s if you want to leave at all). I knew how amazing you are. Looking forward for an appointment.. All the very best. You are the best!! !